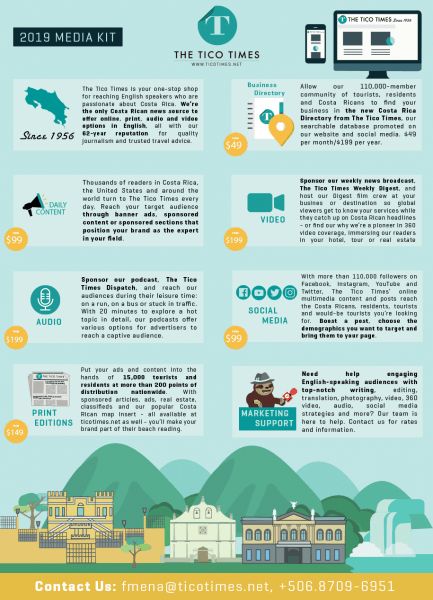 Central America’s leading English-language media organization now offer two options for our advertisers: online (105,000 followers) and print (nationwide distribution, initial circulation of 15,000). 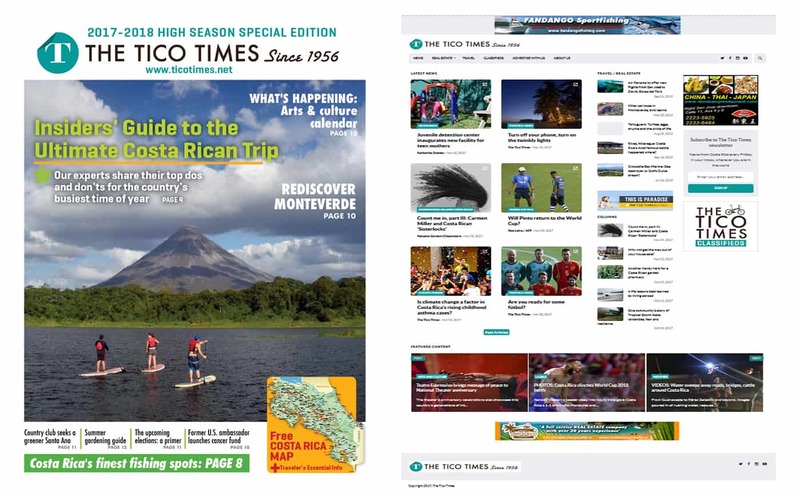 Both options offer The Tico Times’ incomparable brand recognition and positioning among international and potential residents of Costa Rica who are interested in news, arts, real estate, travel, dining, investment and more. Our team is ready to work with you to create the best strategies for your business on our platforms, increase traffic to your website and social media, and get the most from your publicity budget. Download our Media Kit for more information, or contact us at sales@ticotimes.net or (506) 8709-6951.